Unfortunately, although they're tucked away, they're still taking up unnecessary space on my home screen. There's always the folder-within-a-folder trick to hide them even more, but today I'll go a step further and guide you on how to actually remove these apps, all thanks to a recently discovered iOS 8 glitch shown off by Reddit user Patronu. Will This Work for Your iPhone? Considering that there are various iPhone models, old and new, that are still in use, you may be wondering if this trick will work for your particular device. 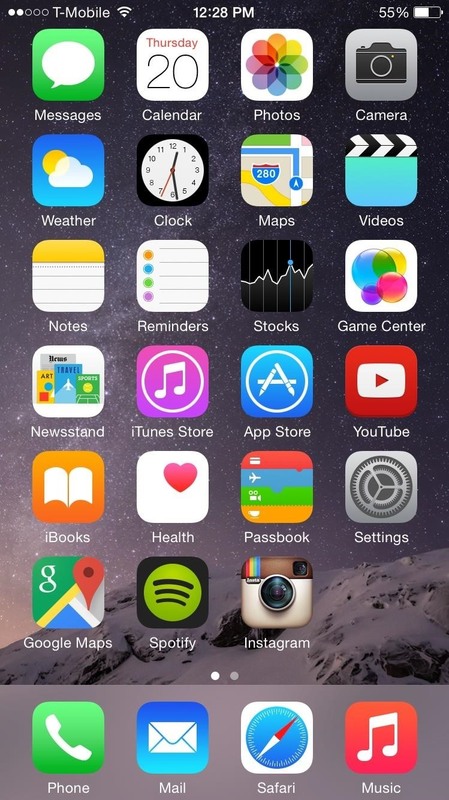 I have personally recreated this glitch on an iPhone 4S, 5S, and 6, which were all running either iOS 8.1 or iOS 8.1.1. We could not get it to work on our iPad, though. Because this glitch exploits a particular formatting automation process, you'll need to place the stock app that you want to lose (in my case, Tips) in a specific area of the home screen. Essentially, all you need to do is have a home screen filled with apps, and the stock app as one of the last two along the bottom right. Take a look at the screenshots below for a better grasp. (1) One empty spot for the stock app. (2) The stock app in its place, ready to go (literally). This is an action that needs to be done quickly (see #7 below) in order to accomplish the end goal. It may take more than one try, but it will work. Note: In this step, I will be referring to the stock app you moved into the bottom right corner as simply the "stock app," and the one beside it "the non-stock app" (even though a stock app should also work). Since it takes a perfectly timed action, it's a little tricky to get on the first try. Make sure to watch the video above so you can see exactly how it's done and execute properly yourself. So, what happened to that stock app? Nothing, it's just temporarily removed from the home screen due to a glitch. 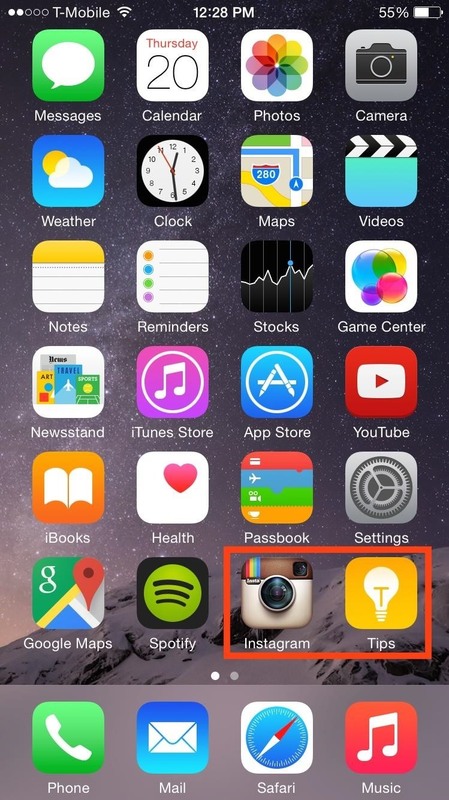 To get the app (or apps) back, all you have to do is restart your iPhone and it'll be back on the home screen. Needless to say, if you're iPhone restarts on its own for some reason, your hidden stock apps will reappear. Just repeat the process above to get rid of them again.